There are many servers that you can log into. By looking through the Online Server page you can see what servers people are on, how many people are flying, and links to sites containing important information like what maps are being used, the server rules, and other pertinent information. You can find the server IP address here. Write this down, copy it into your clipboard, save it somehow as you will need it when trying to log in through YSFlight. No combat unless you have permission from all parties. If someone dispenses three flares in very rapid succession, it means they wish to disengage. If there is an event going on, do not disrupt it. These are a general rule of thumb. Remember to be courteous and respectful and HAVE FUN! Logging into a server may take some time. Be patient. Open YSF and wait for it to load. Click on "Network" on the top toolbar, to the right of the "Simulation" that you click to go flying. On the drop-down menu (which lists "Server", "Client" and "Network Option"), click on "Client"
Open up the server list page here on YSFHQ, at the top of the page and look for a server that is online. On the server list page, in the second column from the left, are the IP addresses for each server. Copy the IP address of the server you want to go on and paste it into the box in YSF that's titled "Server Hostname (IP Address)". Click "OK". Now, if the server is online and you have the map that the server is using, you will enter upon a black screen with white text and a blue box in the top right corner. If YSF temporarily freezes, then says "cannot connect to host"; post back here, because if the server is online, it may be a network issue on your end. If you see the black screen appear temporarily, but then YSF reverts back to the main menu, this means you don't have the map the server uses. Now that you are connected to the server, you must wait for a message that states: "** Log-on process completed **". Before this appears, you will not be able to properly choose an airplane, start flying or observe. Once that message does appear, along with a bunch of information, you will be able to select an aircraft, choose a starting position and then start flying by clicking "Join". If you just want to see what others are doing, you can click on "Observer Mode". In observer mode, you can view another person's plane by pressing F5 (this cycles the aircraft being viewed) and then pressing the usual camera buttons. If the server owner does not have a plane installed, you cannot use it. If the server owner has a lot of planes installed, it will take longer for the log-in process to complete - the WW3 server only takes a few seconds to complete the process, others, like Ericts or the CVW-171's can take a few tens of seconds. The longest I've waited was about 3-5 minutes. To speak to other players, press F12 and type your message. The Enter key will send the message, the Esc key will close the message. Step 1: Determine what sort of server you wish to run. The YS community has produced a multitude of addons. As a server admin, you'll have to determine which you want to make available to your guests. Some of these are fairly simple - combat planes for a combat oriented server, airliners on a civilian server, and so on. Any server aligned with a particular virtual unit will want to have that unit's aircraft. Be sure to weed out any addons that prove disruptive to the style of play you wish to promote.Select a map that encourages your server's purpose. Combat pilots like lots of ground targets. Airline pilots like long distances. Naval squadrons will most likely want a carrier. In YS, one can host a server through the dedicated console server exe, or any of the usual game interfaces. The console server provides a simplified menu, and fairly clear instructions. From the main menu, press 1 to start your server or 2 to configure the server options (weapons enabled, radar alt, etc.) Selecting "start your server" presents the options to select the map of your choice, and to initiate the server itself. In the regular game, select "Network" from the menu at the top of the screen, and then "Server" to select your map and initiate the server. Unless you are running a strictly private server, you will want to advertise your server's active status on the YSFHQ server list. To do this, navigate to "Community" on the YSFHQ.com page. Select "Online Servers" and then click the "Add" button at the top left corner of the server list. Enter your server's details in the relevant fields, and click "add the server" when you are done. Most servers use a DNS ip to hide their personal IP. These can be acquired for free from sites such as noip.com. Weather you use the console server or the regular game to host a server, you will notice additional options which help you manage your server, and entertain those who join. You can revive ground objects, kick or ban players, lock the server to prevent new people from logging in, join lock the server to prevent people from taking off, and initiate a number of automated AI combat scenarios. The simplest way to ensure that your server runs the way you want it to is to keep it online only when you are there to babysit it. If you want to provide a more long term service, you may wish to put together an administrative team. 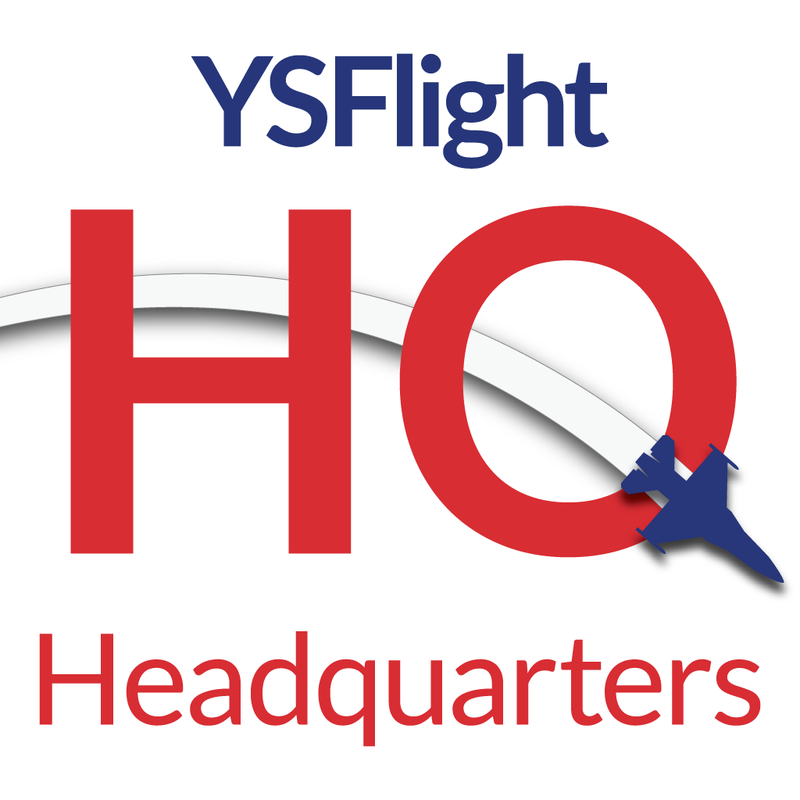 Post a set of rules, either on your own site, or on YSFHQ, and link them to your spot on the server list. Appoint admins and or moderators which the power to enforce rules, and if possible, with some form of remote access to provide direct administration. Midnight Rambler wrote: Ok, so if you've used my other tutorial you should hopefully have figured out how to run a server in YSFlight. Ok, so I've been running a server for a little while and there are some things that I've picked up which will help you manage your new server. Is your server going to be on all the time, or just for fun every now and then? The bigger servers, such as Erict15 and 42South are 24/7. This attracts more people as it gives the users a sense of regularity - they can go online and expect the server to be there. Obviously running a 24/7 server is a fairly big commitment and means that your machine will need to run day and night, using your network allowance as well. A hourly server is a server that may be online for set periods of time, on certain days, or whenever the host feels like it. These servers are often exclusive, such as the FAVA server and don't receive as much traffic as a 24/7 server. An upside is that there is less machine and network usage. I typically try and keep the amount of rules to a minimum. Rarely people go to the server page and looks up the rules. On 42South the only rules I enforce are no civilian killing or Vulching, unless it was agreed upon by both people. Having a long list of rules will only make it hard to control and your life hell when people PM you complaining of rule breakers. This is simple. Do not, whatever you do, put every single addon you've ever downloaded into a server. The last time I checked how many aircraft I have installed was in 2008 and it was close to 4000. If I installed 4000 planes on 42South, every time someone joined the server then those aircraft would need to be checked. Once the list is fully checked, you're logged in. The more addons, the longer the login time and vice versa. Use the major packs; Taskforce 58, GAC, Major, squads/VAs, etc... More often then not, less than 100 planes are used online... Ever. Addons directly affect the login speed. All depends on your clients and what you're using it for. A VA server doesn't need as higher connection speed as there isn't as much close contact between different clients. A military orientated server, with fast moving aircraft and weapons, needs a fast server connection. Aerobatics, formation flying, etc.. Also require a good connection to reduce lag. The more clients you have joined to the server, the greater the Internet speed you'll need. A standard VA connection with 1 or 2 people online could be as low as DL: 1.2mbps UL: 0.2mbps It'd be slow, but would work fairly well. A big part of running a server. You need people you can turn to when there is an issue on the server and you can't get there to sort it. 42South uses 4 Administrators; Doomsday, Philster, Rine and Shine and me. I'm currently the only one who has access to the server controls. So, to give my admins the authority to do their job, I created the 42South Admin Plane. It's indestructible, 30000 bullets, 6000 flares, Mach 20 in a straight line, stops in midair, unlimited weapons, etc... You get the picture. I made it, installed it on the server and sent these guys the link. This way, only we can use it. Ever wondered why Erict and 42South always use stock maps like Hawaii or Tohoku? It's simple really, everyone has these maps. If we ran custom maps, people can't join the server unless they have the map. So, to maximise the people that can join, we use stock. Hopefully this helps a few people. Feel free to ask questions or make comments below. When flying online, it is important to note that there are many big differences in how ys handles online play compared to other games. Who's alive and who's dead when it comes to death from collisions and ground objects. There's a lot of lag in this area, so sometimes you will see people survive things that should kill them, and you will often see them crash when they haven't due to distance lag. Whether or not there is a radar gunsight. What aircraft, ground objects, the map and your weapons LOOK like. Your aircraft's position. If the server thinks you are somewhere else, it will show you as somewhere else to the other players, but will eventually put your airplane back to the right place in their view. You will always be in the right place in your view. The significance of this is that you will never "lag jump/teleport" but you will see other players do it often. See this article for more detail. Who you killed. If you kill someone, they WILL be dead. However, there is a lot of lag in this and the server may not register your kill straight away. I've seen lag of several minutes between when I kill someone and how much longer they stay alive. In that interval you might kill them many more times to no avail. FPS lag. The server renders nothing but positions and states. If you get a performance drop, that's entirely on your computer. Network lag. Blame the fact that ysflight uses TCP instead of UDP, which we really can't fix. I'm sure Dr. Yamakawa had his reasons. As you can see, most things are serverside. The reason for this being that the more things are clientside, the more the server needs to rely on the client's internet connections instead of its own.This would work in a perfect world where everyone has super amazing fiber optics internet, but not in the real world. Therefore we rely on servers to try and maintain a cohesive picture of what's going on. I only see options to Create/Start Server and to Configure my server. You're running the server console there, which hosts your own server locally. To connect to a server, load the regular YS .exe and go to Network -> Client and input the server IP where required.